Thank you for visiting us! 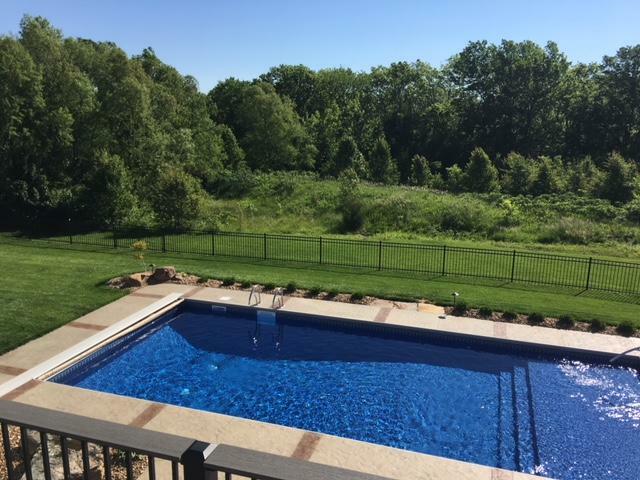 Swims & Sweeps is a NE Kansas pool builder serving the Topeka, Manhattan, Lawrence and the surrounding areas, who would love the opportunity to earn your business. Since 1989, Swims & Sweeps has provided the area with all of its swimming pool, spa and hearth needs. We take pride in giving our service area reliable and quality services, but don’t take our word for it. Please take a few minutes to read through our customer reviews to see what others have said about their experience with Swims & Sweeps. Swims & Sweeps specializes in swimming pool installation, including inground vinyl lined pools and above ground pools from Doughboy, Embassy and Radiant. Once your pool is complete, you can rely on the professionals at Swims & Sweeps to care of your pool as if it were our own with a number of services and maintenance. We also specialize in hearth products sales and service. Whether you’re looking for a fireplace, or stove , we have many options to choose from. Be sure to stop by one of our four retail locations in Topeka, Manhattan and Lawrence to experience all of the swimming pool, portable spas, swim spas, and hearth products we carry, including today’s top brands of chemicals. For more information, like us on Facebook or contact us.